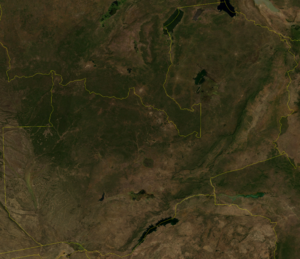 Zambia – landlocked sovereign country located in Southern Africa. Zambia has been inhabited for thousands of years by hunter-gatherers and migrating tribes. 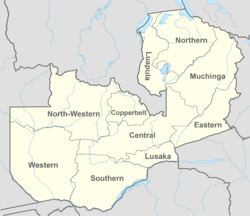 After sporadic visits by European explorers starting in the 18th century, Zambia was gradually claimed and occupied by the British as protectorate of Northern Rhodesia towards the end of the nineteenth century. 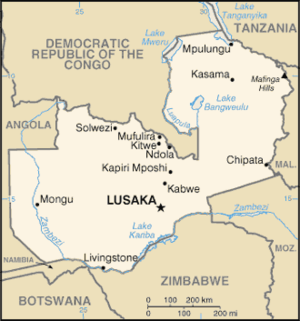 On 24 October 1964, the protectorate gained independence with the new name of Zambia, derived from the Zambezi river which flows through the country. After independence the country moved towards a system of one party rule with Kenneth Kaunda as president. Kaunda dominated Zambian politics until multiparty elections were held in 1991. This page was last edited on 17 July 2016, at 04:34.